The update also brings with it the ability to see how much time a game will take to download, along with an improved UI for games library. Good news for Xbox One owners! The summer update is upon us, and brings with it a range of new features. The list of new features is pretty comprehensive, including Cortana for Xbox One, the ability to play background music when gaming and a redesigned interface for your games library. A very handy feature is the inclusion of the ability to see how much time a game will take to download, and the speed at which it is downloading. Time left to download is a very handy addition, something that we have seen on Sony’s PS4 consoles. Background Music: Gamers will be able to listen to music from apps such as Pandora, while gaming. Other apps are expected to extend support to the service too, later this year. 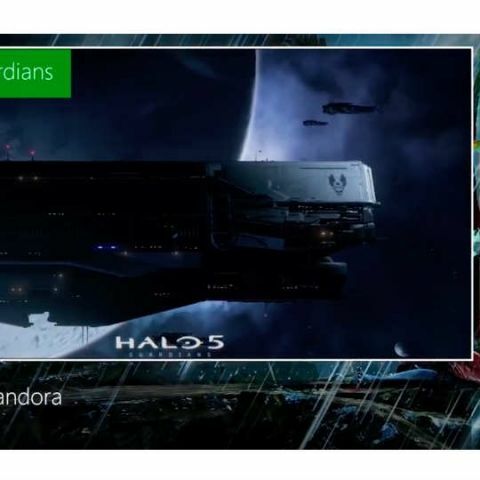 Cortana on Xbox One: If you thought you’d have to wipe dust off your Kinect sensor and connect it to the Xbox One to use the voice features, Microsoft may have just saved you from that trouble. Cortana can be accessed via the microphone of your gaming headset. Improved Game Collection: You can now control the size of each tile for games, so you can see more of your collection at a glance. The scroll has changed from horizontal to vertical, making it easier for gamers to navigate their games collection. Language/Region Independence: This simply means that even if you are in the US or India, you can select German or French as your language of choice on the console. 60fps game clip recording with the Game Bar: This should be self explanatory. There are a bunch of more updates, some for the unified Xbox and Windows store, and some for the Xbox One app. You can take a look at the details of the update here.